The child labour debate, the Child Rights Convention and the target of universal primary education in the Millennium Development Goals have drawn increasing attention to children in developing countries. Alongside, a debate has waged on the need for child participation and the appropriateness of spreading allegedly western norms of childhood. 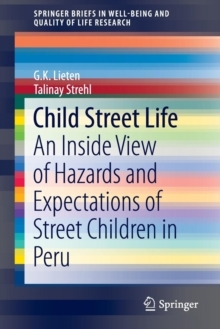 This book aims to uncover the daily life of children in selected areas in Vietnam, India, Burkina Faso, Tanzania, Nicaragua and Bolivia against the background of those debates. 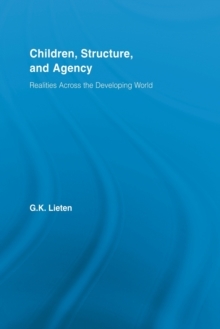 Children, Structure and Agency takes a close look at the activities, the aspirations and the deliberations of hundreds of poor children in the age category from 9 to 14, on the basis of a dawn-to-sunset observation over a couple of days. By empowering children to make people listen to them, children can play a more an active role in their community. 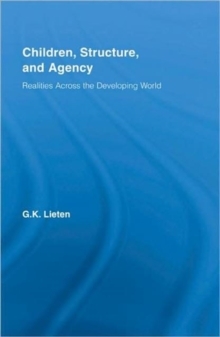 The book addresses the issue of such child agency and the structural constraints to that agency. 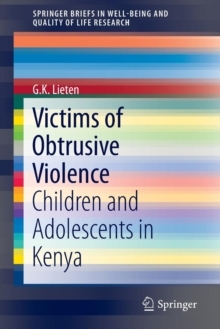 This text would be of interest to child-centred development aid organisations and scholars dealing with issues of child participation, child rights, child labour and education.